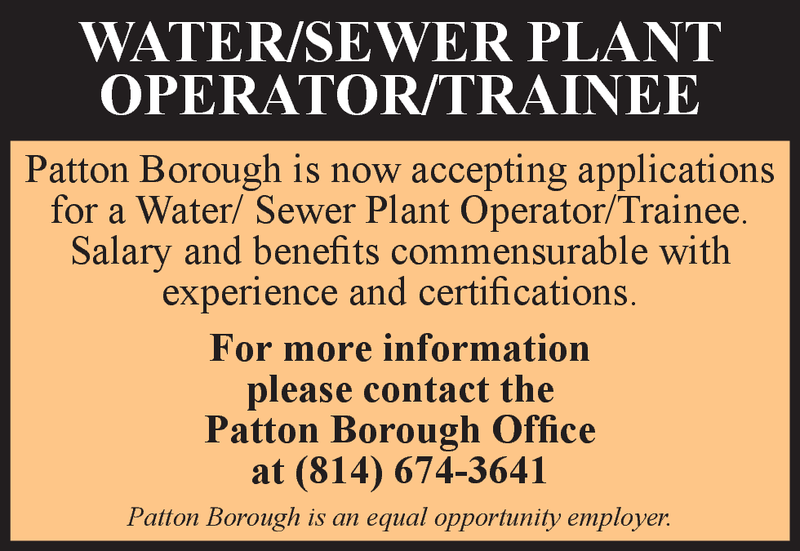 Patton Borough is now accepting applications for a Water/ Sewer Plant Operator/Trainee. Salary and benefits commensurable with experience and certifications. Patton Borough is an equal opportunity employer.